News: Extreme Japanese Food iPhone Cases | Oyatsu Break! 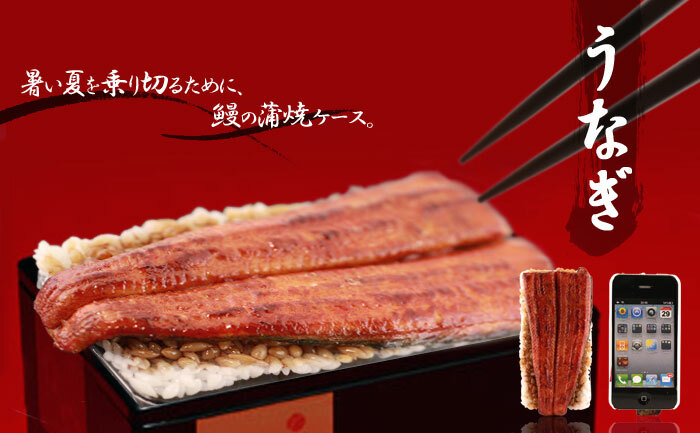 Delicious eel? iPhone 4 case? Why can’t it be both? From “Strapya World, The World’s Leading Cell Phone Accessory Store” comes these new and truly delicious-looking cell phone cases featuring uniquely Japanese foods. If you want to protect your iPhone 4 and have it be the most exclusive thing on the block, check out such desirable cell phone cases as Sushi, Yakisoba, Christmas Cake, Bacon and Egg, or Tonkatsu! You can see these and many more at http://www.strapya-world.com/categories/6034_6035_5541.html. I thought I had become entirely accustomed to Japanese cell phone culture, but this is a new one on me. Combining my love of fake food with my love of technology to create an amazing product; thanks Japan.